Davis and Ruiz hit the scale before they square-off tomorrow night on Showtime. Today, starting at 4:00 p.m. 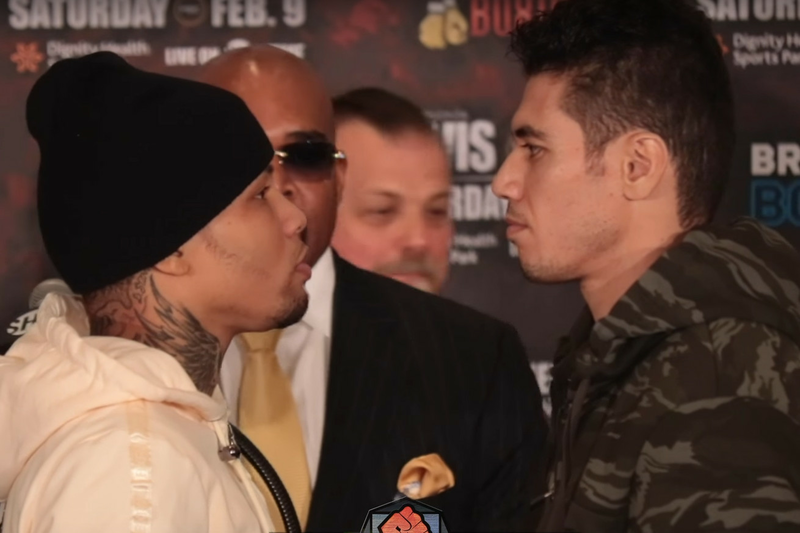 ET, Gervonta Davis and Hugo Ruiz will officially weigh-in for tomorrow night’s scheduled title defense. You can catch the full live stream of the event right here on BLH, courtesy of Showtime Sports. In this fight Davis (20-0, 18 KOs) will be making the first defense of his WBA 130lb title against Ruiz (39-4, 33 KOs), who will be moving up in weight as a late replacement for Abner Mares who was injured during training camp. Ruiz isn’t expected to give Davis much trouble according to most, but Ruiz is confident that he’ll be able to upset the odds. The card’s co-feature bout will have 140-pound contender Mario Barrios (22-0, 14 KOs) will be taking on Richard Zamora (19-2, 12 KOs) in a scheduled 10-rounder. The card’s opening bout bout will have Javier Fortuna (33-2-1, 23 KOs) facing Sharif Bogere (32-1, 20 KOs) in another 10-rounder. The Showtime telecast will begin at 10:00 p.m. ET, with live streaming undercard action available to view on the network’s social media platforms starting at 8:00 p.m. ET.